I don’t even know what to say here. No, you do NOT need to adjust your computer screen…you ARE in fact seeing a girl in Nike athletic shorts, a sweater, and black high heels. I am just flabbergasted at this outfit, I don’t really know what to even say. I just want to know what she was thinking when she thought this was okay. I just….don’t know. Let’s go over this…what could have been the cause of this? All her shoes could have been eaten by wolves and all they left were her nice black heels? NO! That can’t be it…but seriously…that is the only excuse for this outfit. Let’s face it, no matter what the story, there is no way it was completely impossible for her to have worn something else. Random thought: who the heck would choose to wear heels when they didn’t have to?! Why didn’t any of her friends lend her a pair of shoes?? I have SO many questions running through my mind I just don’t even know where to go with this. I’m just plain STUMPED. I have no idea why this happened, but I sure hope it never happens again. This is just embarrassing…for EVERYONE. Okay, well I’m guessing everyone can obviously see what is wrong with this picture. She was also at attendance at a Christmas party. Okay and it’s is fine if you don’t feel like dressing up (I guess), but why in the world would she choose to wear these shoes? I think they even had a rhinestone brooch on the side! 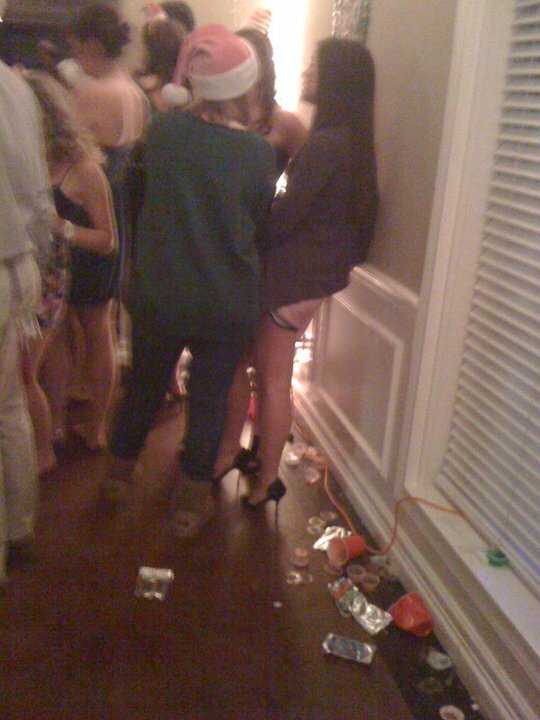 I saw this girl at the party, and was completely shocked at what she was wearing. I’m pretty sure I stared at her in blatant shock for at least 5 minutes. it was, to say the least, a tragic outfit. i actually think the heels and nike shorts go really well together. she’s like, “I’m athletic, but I’m here to look classy too.” You know?